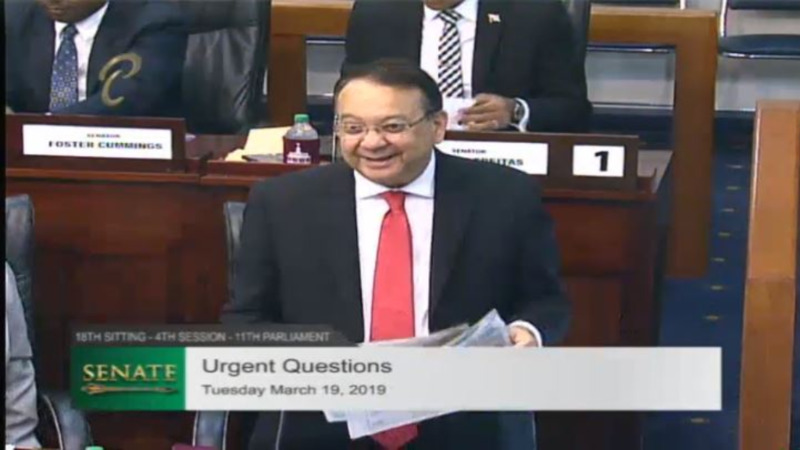 Communications Minister Stuart Young is labelling as 'disturbing' rumours circulating on social media regarding the sale of the Paria Fuel Trading Company to Simpson Oil Limited (SOL). 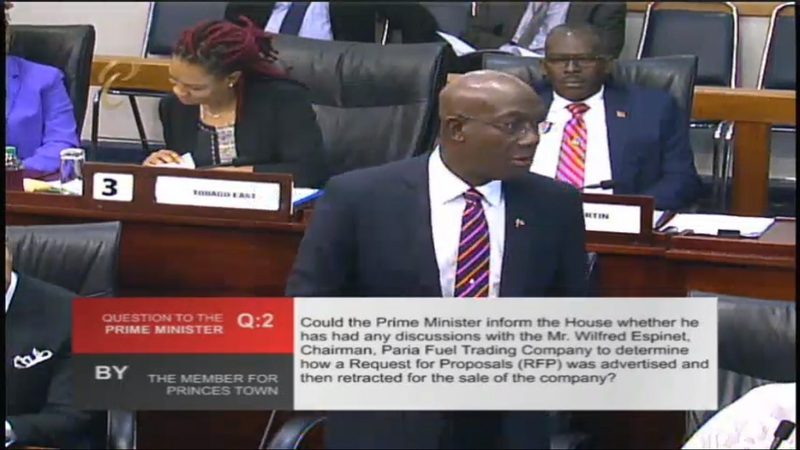 Earlier today, a post went viral claiming that the Paria Fuel Trading Company was sold to SOL of Barbados owned by Sir Kyffin Simpson. The post claimed that Simpson is a close friend and golfing buddy of Prime Minister Dr Keith Rowley. In response to the allegation, Young said there is no truth to the information being circulated. He also accused the Opposition of being behind the report. "The image and associated information making these claims are completely false. This is another desperate attempt by the UNC to mislead the public of Trinidad and Tobago." 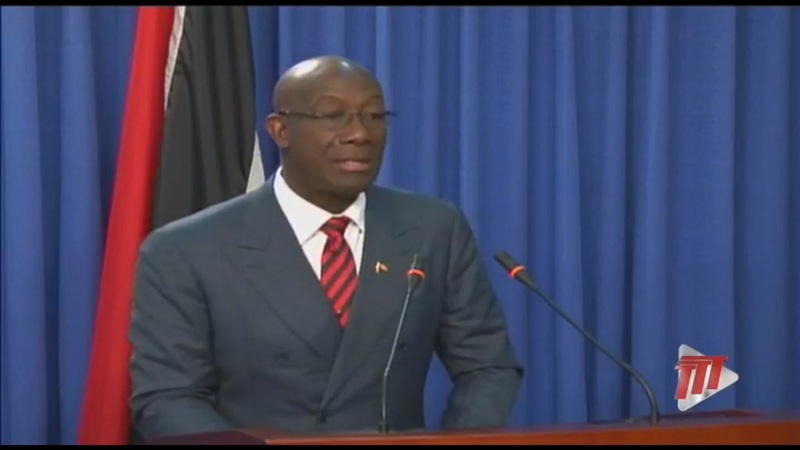 The Communications Minister further denied that Dr Rowley and Simpson were gulf mates. "I can also say that the Hon Prime Minister does not play golf with Mr Kyffin Simpson (of Barbados). It is really disturbing that the UNC would continue to attack private individuals, such as Mr Simpson, in such dishonest and deliberate manners." 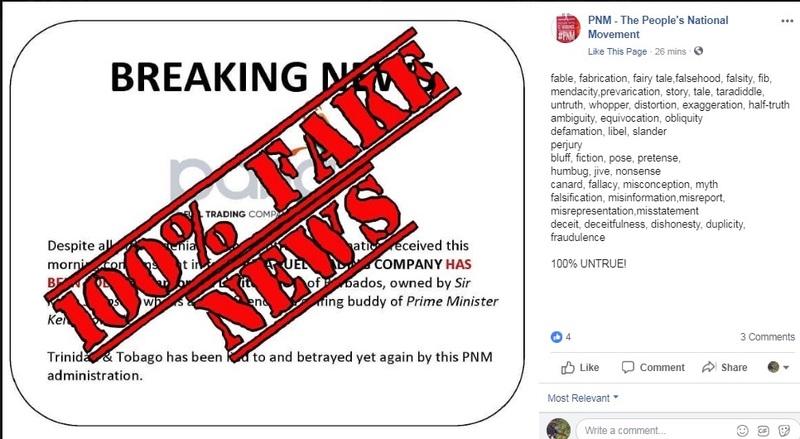 Meanwhile, the PNM reshared the post covered with 'fake news' text. The political party captioned the post using 45 adjectives to describe the information as false.